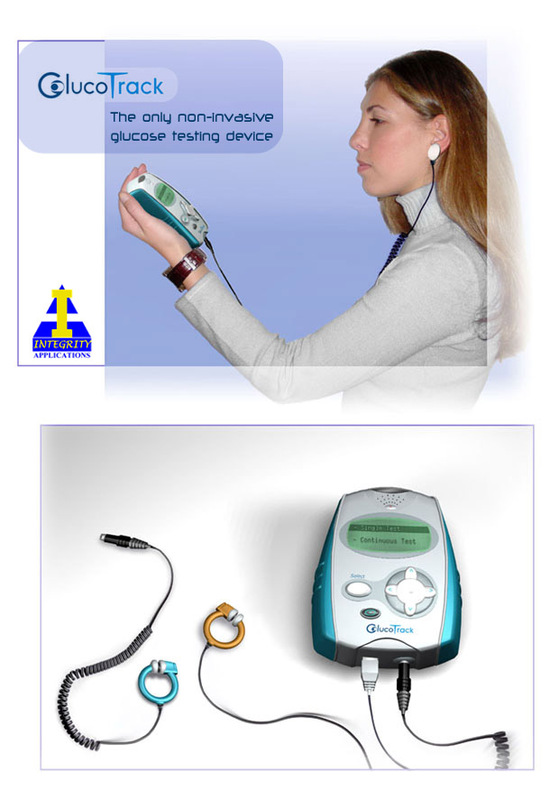 Gluco-Track – A non invasive glucose testing device, utilizing a patented combination of ultrasonic, electromagnetic and thermal technologies to measure and provide an accurate blood glucose level. This is done by a small sensor that clips comfortably to the ear, where the data is shown on a manual unit. Work included developing working prototypes for clinical tests, and helping moving into production.